Home Immunity Are You Sick of Being Sick? Are you sick of always being sick? Do you ever feel like a sitting duck waiting to be taken down by the latest pathogen doing the office rounds? Or perhaps you’ve tried to remember when the last time was you got through a whole winter season without several bouts of illness? If either of these thoughts have crossed your mind then you need to be getting some immune ‘R n R’; that is – better immune resistance and resilience. An immune system lacking either can make you susceptible to recurrent bouts of illness. For example, if your immune system is struggling to reclaim it’s vitality after one bout of illness, then you will be susceptible to the next lot of bugs doing the rounds and hence you come down with a secondary infection. This can create the illusion that a particularly horrible virus must be on your tail. However, in this scenario, your dragging symptoms may not be entirely caused by the power of the pathogen in your system, but due to a weakened immune response, unable to resist the invader. As such, that re-appearing tickly throat or glands swelling up again can be a tell-tale sign of your immune system losing ground. No one is exempt from the many factors that can hinder your immune system – stress, lack of sleep and the inevitable balancing act of modern day life – all of which deplete our energy, hindering our degree of immune resistance and resilience. Interestingly, even your thoughts can influence your recovery time from an infection,1 highlighting the importance of developing a healthy mind-set. Nourishing habits to support mental wellbeing include making time to promote relaxation such as meditation, as well as light exercise; both particularly useful in reducing the immunosuppressive effects of an overactive stress response,2 which can simply be due to a busy life, or actual stressful events. On the other hand, ‘coping’ strategies such as consuming alcohol 3 and smoking 4 do the opposite – increasing your risk of infection and disease. This goes to show that positive lifestyle choices can support your road recovery, and help you break the cycle of recurrent infection. Most people are aware that eating a good diet pays dividends, but how well do you actually nourish your body during those times you feel most exhausted and fragile? You’ve potentially heard about the ‘flight and fight’ response, but did you know that the opposite of this phrase is ‘rest and digest’? Real rest is achieved by taking enough time to fully recover when you do become unwell, and acknowledging how you can best meet your needs by ensuring you are resting enough at busy times. Digest refers to the process of assimilating the nutrients from your diet, so healthy digestion is crucial to good health…and good immune function. If you have any digestive issues – speak to your healthcare Practitioner who can help investigate what’s going on. Some foods offer significant advantages when it comes to a robust immune system. Firstly, warming foods such as crockpot stews and soups save your body time and effort breaking down raw or dense ingredients, leaving you more energy for healing if you become unwell. Secondly, consuming protein-rich foods such as eggs, legumes, nuts, and seeds ensure you have adequate nutritional resources to create new armies of immune cells, to orchestrate the destruction of a pathogenic bugs when you do come into contact with them. Finally, nutrients which are tricky to obtain, either due to low soil levels or dietary restriction, should be bolstered through supplementation where necessary – your Practitioner can help you assess if these are required. Key natural medicines, if you are lacking, ensures your body is adequately supported by the essential nutrients required to promote an active immune response and facilitate better resilience. You’ve probably heard there are certain probiotics, herbs and nutrients used to promote good health, but did you know that many of these natural ingredients actually work with your own immune system rather than just being a ‘Band-Aid’ for symptoms? For instance, nutrients such as zinc and vitamin D provide protection against infectious agents by reinforcing the strength of the immune barrier between you and the outside world,5,6 namely your gut lining. Furthermore, the immunostimulatory constituents (called polysaccharides) found in certain medicinal mushrooms including Trametes versicolor (coriolus) and Ganoderma lucidum (reishi), as well as in the herb Astragalus membranaceus (astragalus) activate several of the internal agents you need for healthy immune system surveillance and resilience (see Figure 1). 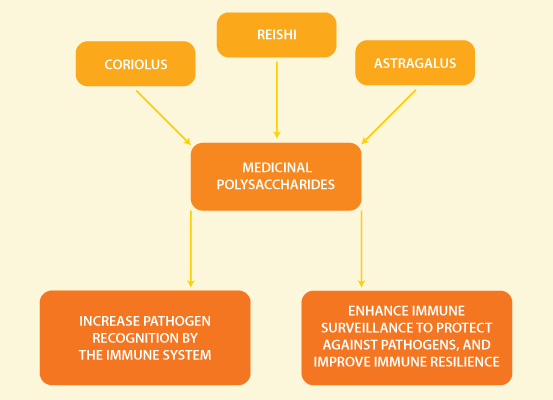 Figure 1: The Immunostimulatory Effects of Medicinal Polysaccharides. These actions include increasing what’s known as secretory immunoglobulin A on the mucosal surface lining your gut, 7 as well as promoting the activity of immune cells called macrophages (which translates to ‘large eaters’ giving you a picture of what they do to pathogens!) and natural killer cells,8 whose task is to destroy infection-causing invaders. 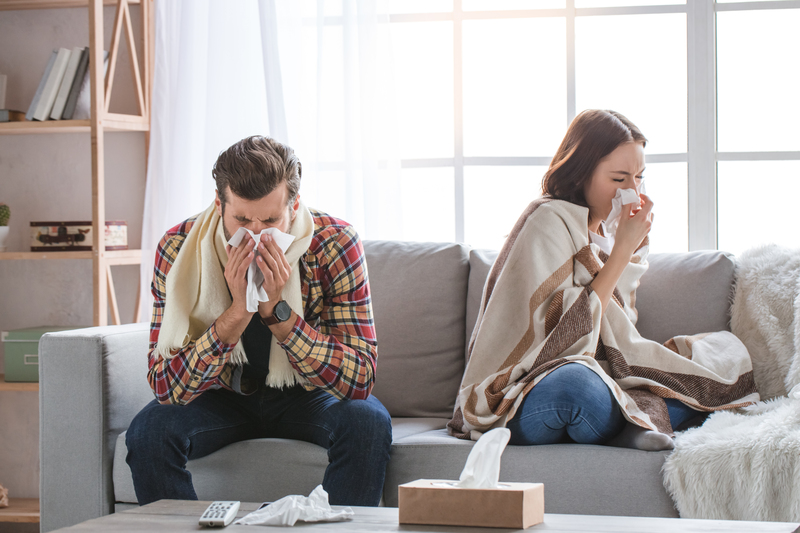 Taking a natural medicine approach to your health offers you so many proactive ways to improve your immune resilience in order to prevent ongoing episodes of immune dysfunction…namely illness! By addressing the underlying causes of why you keep getting sick in a holistic way, you can re-write your immune story into one which features resistance and resilience as hero’s and focus instead on enjoying all the things in life you love. 1. Van Schrojenstein Lantman M, Mackus M, Otten LS, de Kruijff D, van de Loo AJ, Kraneveld AD, et al. Mental resilience, perceived immune functioning, and health. J Multidiscip Healthc. 2017 Mar 21;10:107-112. doi: 10.2147/JMDH.S130432. 2. Carlson LE, Speca M, Patel KD, Goodey E. Mindfulness-based stress reduction in relation to quality of life, mood, symptoms of stress and levels of cortisol, dehydroepiandrosterone sulfate (DHEAS) and melatonin in breast and prostate cancer outpatients. Psychoneuroendocrinology. 2004 May 1;29(4):448-74. 3. Sarkar D, Jung MK, Wang HJ. Alcohol and the immune system. Alcohol research: current reviews. 2015;37(2):153. 4. Huttunen R, Heikkinen T, Syrjänen J. Smoking and the outcome of infection. Journal of internal medicine. 2011 Mar 1;269(3):258-69. 5. Assa A, Vong L, Pinnell LJ, Avitzur N, Johnson-Henry KC, Sherman PM. Vitamin D deficiency promotes epithelial barrier dysfunction and intestinal inflammation. J Infect Dis. 2014 Apr 21;210(8):1296-305. 6. Zhong W, McClain CJ, Cave M, Kang YJ, Zhou Z. The role of zinc deficiency in alcohol-induced intestinal barrier dysfunction. Am J Physiol Gastrointest Liver Physiol. 2010 Feb 18;298(5):G625-33. 7. He X, Niu X, Li J, Xu S, Lu A. Immunomodulatory activities of five clinically used Chinese herbal polysaccharides. J Experimental Integrative Med. 2012:2(1):15-27. 8. He X, Niu X, Li J, Xu S, Lu A. Immunomodulatory activities of five clinically used Chinese herbal polysaccharides. J Experimental Integrative Med. 2012:2(1):15-27.